Home Magento 2 Automatic Related Products How to create Up-sell Products block? People are frequently mistaken definitions between Cross-selling term and Up-selling term but they’re totally different of selling strategies. They’re all applicable on existing consumers irresistible, enticements to encourage customers to purchase more, boosting your total revenue and no limitation in popularizing them in different types of business. Hang on a min, what is the exact difference point between this two terms? It’s the key what you want to sell for customers. Literally, when Cross selling is a process of providing possible related product to an original order, Up selling is an improvement of selling more units of the same product, or upgrading their original purchasing decision. This is what Frequently Bought Together extension or Who Bought This Also Bought are designed for. When comes to popping up this Up selling campaign, which means you’re not selling a pure simple product but complicated ones. The most fundamental idea kind of products for this technique is product has numerous of features and you have to divide it into different hierarchy packages. Obviously, the more features customers want to use, the higher package they have to purchase. It’s in point of how can you make them feel being spent worth on upgrading products. This makes a sale and builds the profession. The free or basic package customers are using doesn’t have or couldn’t adapt endless human needs anymore, in the right second they’re about to give up your products, give them what they need: A new solution for their problem can be found at higher edition. This trick is old but still gold until now. Selling more items to your customers meaning expanding customer’s lifetime value to your store. That what’s called loyalty. Up selling can be applied anywhere or anytime when you own an online store. Inserting them, in block/slider form, on Product Pages, Category Pages, Shopping Cart Pages,… can be easily accomplished all. Especially in Magento 2’s store, without being a professor or developers you still can display an up-sell slider to your store effortlessly. After being amazed by enormous profits this block can bring up to you, why don’t try to learn to have one in your store right today? Up-sell block can be easily configured by Automatic Related Product extension introduced by Mageplaza. There are 3 ways to install this plugin and all of them are easy to finish. Why don’t you check this out immediately? This tutorial will guide how to create Up-sell block on the Product page that when a customer comes to visit an item detail page, the up-sell block will entice them to add more related items to their cart and congratulation! More sales! You have to set a new rule to specify when this block is allowed to be displayed, or furthermore, create many Up-sell blocks as you want in many product/category pages. 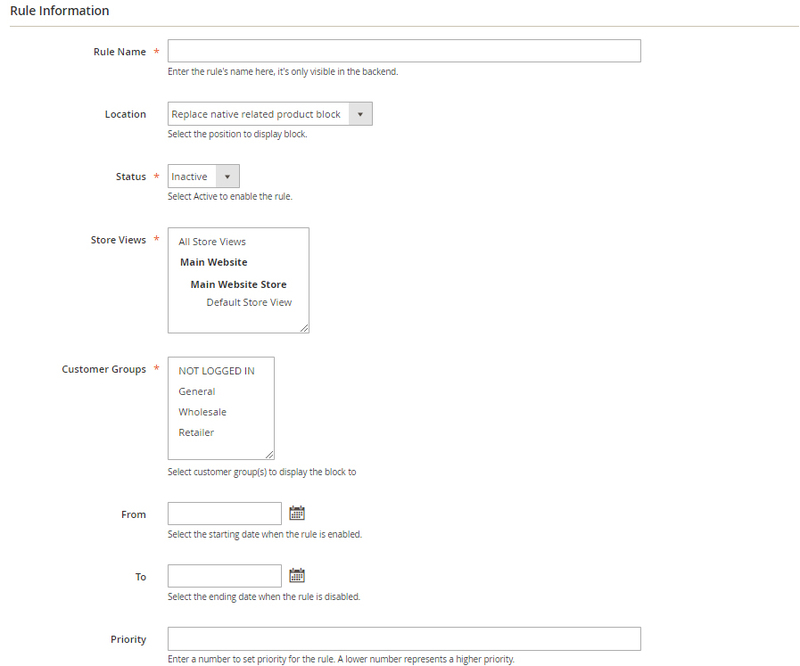 To create a new Rule on Product Pages, go to Mageplaza > Automatic Related Products > Manage Rules. 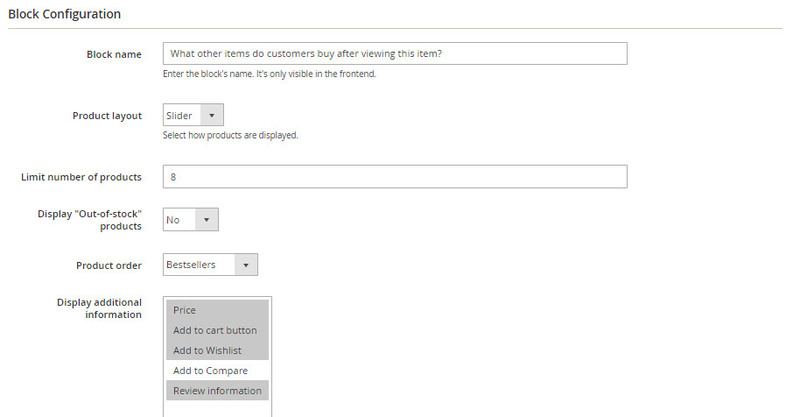 In the Add Rule section, select Product Page. Location is where you specify the block where it located. I’ll choose it as “Replace up sell product block” which means replace the default one of Magento 2. Comments for How to create Up-sell Products block?